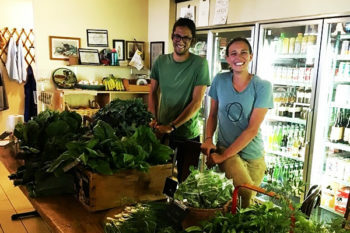 This is a farmer-contributed post in our “From our farmers” series, written by Nicki Passarella and Irina Schabram of Amica Farm, both enrolled in our Farm Incubator Program. Amica Farm is the product of two female friends who forged a bond through hard work, sweat equity and a deep love of agriculture and community. We work with one-half acre of land, growing an extensive array of annual vegetables, herbs and strawberries to sell directly to our community at two weekly farmers markets. 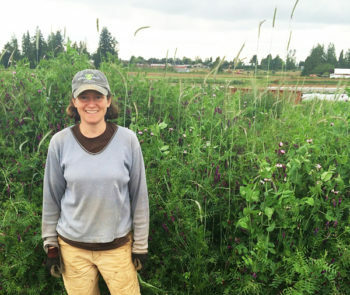 This is a farmer-contributed post in our “From our farmers” series, written by Emily Cooper of Full Cellar Farm, who is enrolled in our Farm Incubator Program. In this piece, Emily explores three different ways farmland can be passed from one owner to the next. As I finish up my third year at Headwaters, I have naturally started thinking about what comes next. Although my husband’s off-farm job makes it possible for us to get a conventional mortgage, the cost of land in the Willamette Valley is generally much higher than any loan (and resulting mortgage payments) we could afford. Leasing land, while attractive for financial reasons, frequently comes with strings attached, and presents the possibility of friction with a landowner-landlord who doesn’t fully understand what it means to share their property with a working farm. 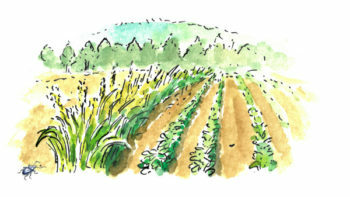 From our farmers: Where do all the veggies go? 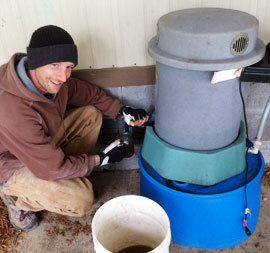 This is a farmer-contributed post in our “From our farmers” series, written by Brindley Beckwith and Spencer Suffling of Tanager Farm, both enrolled in our Farm Incubator Program. In this piece, Brindley and Spencer explore options for produce outlets and find a good option in a community venue! As we were gearing up for our first season with our very own farm and purchasing all the seeds we wanted to grow, we stopped many times and said out loud, “but where will all the veggies go? !” This was both fun and frightening to think about. When you begin the journey of starting your own market farm, you have to think about the various outlets for selling vegetables. 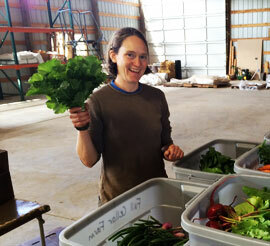 Did we want to be a CSA Farm (Community Supported Agriculture)? Or sell to local restaurants? Maybe do wholesale or farmers markets? There are many options, and all are very unique. We knew it was important to understand what the need was, but we also wanted to consider what we would enjoy. So why not try them all? Fight off pests and reduce the need for insecticides with one simple feature! Beetle banks are berms (an area of raised earth) planted with bunch grasses to provide habitat for predatory ground beetles. Beetle banks reduce pest pressure and the need for insecticides, while also helping suppress crop weeds! This is the fourth in our “From our farmers” series, and was contributed by Emily Cooper of Full Cellar Farm, one of the farmers enrolled in our Farm Incubator Program. This is the third in our “From our farmers” series, and was contributed by Pete Munyon of Udan Farm, one of the farmers enrolled in our Farm Incubator Program. Hi folks! Pete from Udan Farm here. I just wanted to take a minute to share a little of my excitement for ground-up ecology-building at Headwaters Farm with you. 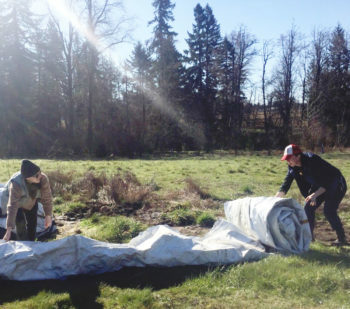 The folks from EMSWCD have done some awesome work restoring the native species to our little section of Johnson Creek, and now we’re looking forward to doing the same with the dirt in the Udan Farm field.